Welcome to my page, I am the chainsaw carver/video editor/techy of the family. I'm 16 and have been chainsaw carving for about a year, chainsaw carving is super fun for me and I love having the opportunity to create cool things out of nothing more than just some cut timber! I am usually busy either making videos or juggling farm-life and school so I probably wont be very active, however I will try my best! 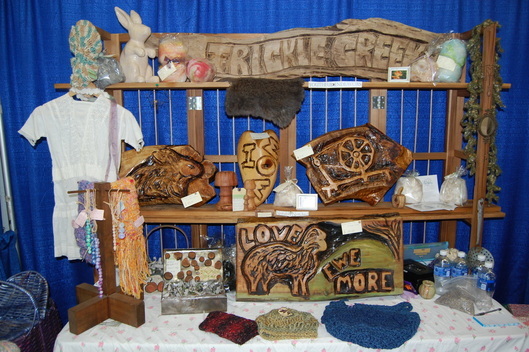 A few of my carvings set up at the Lattin's Cider Mill near Mother's Day. 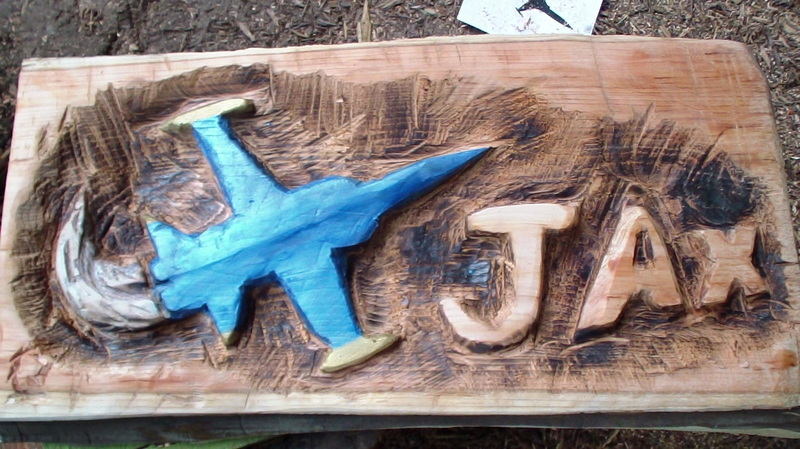 Some of my first carvings and designs, at 15 years old.